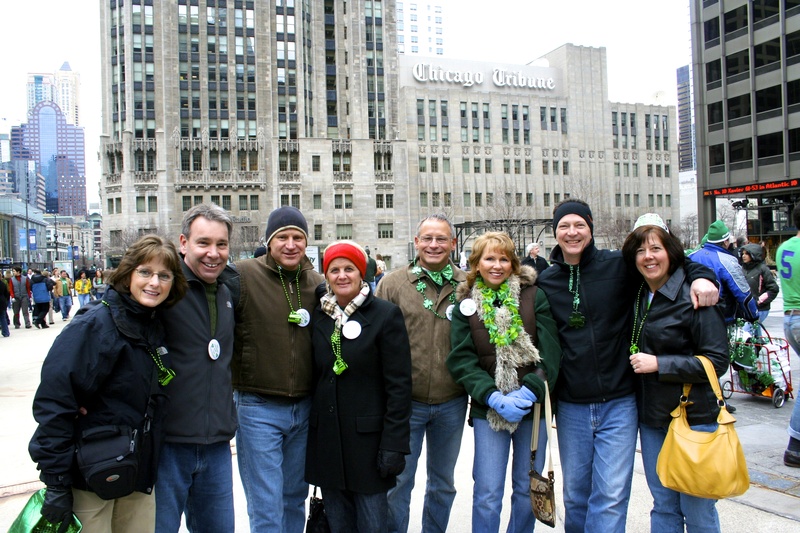 For many years Mark, me and several of our friends visited Chicago for St. Patrick’s Day weekend to hang out with our kids and celebrate. We would arrive in Chicago on Friday afternoon, check in with our kids and then all meet up for dinner. We tried to keep Friday night low-key so we would be ready for the crazy party on Saturday, but sometimes we couldn’t help but get a little wild and crazy on both nights. 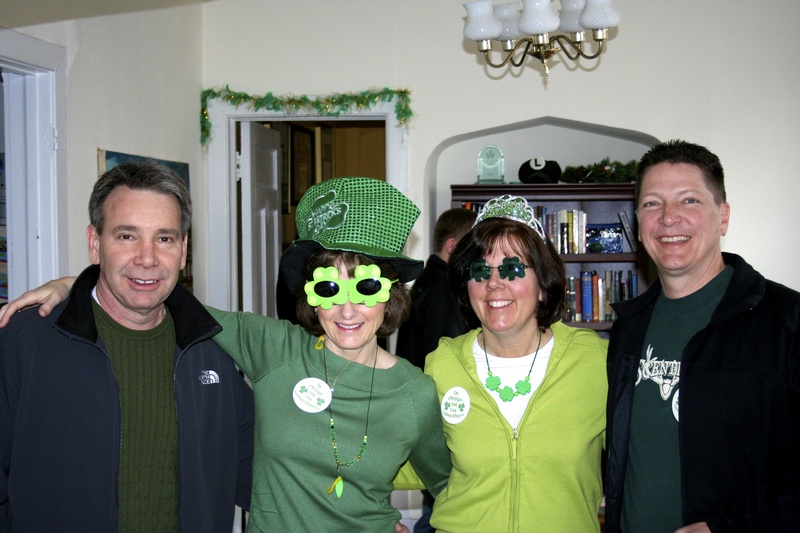 On Saturday we would get all dressed up and act like we were Irish for the day and head toward downtown on the train and marvel at all of the other people celebrating with us. 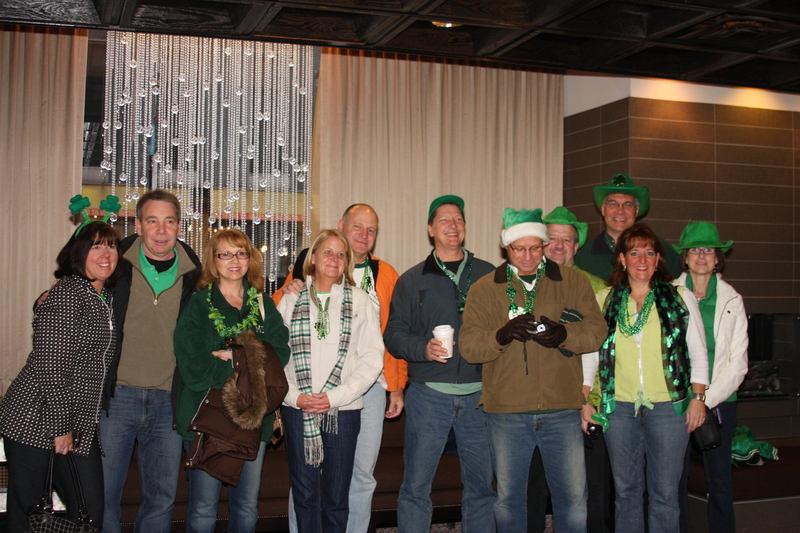 We would all meet for breakfast in downtown Chicago and then head out to brave the bone-chilling Windy City. 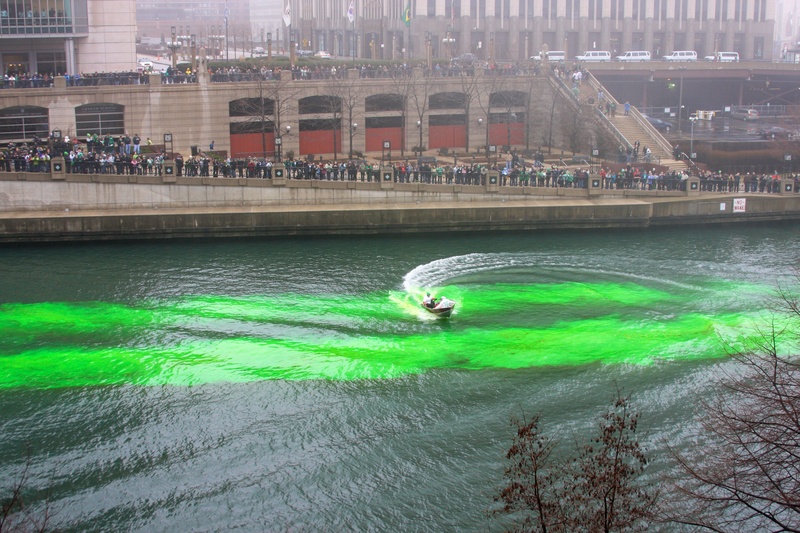 We’d all make our way toward the Chicago River to watch the boats disburse the green dye into the water and marvel as it turned a brilliant green. 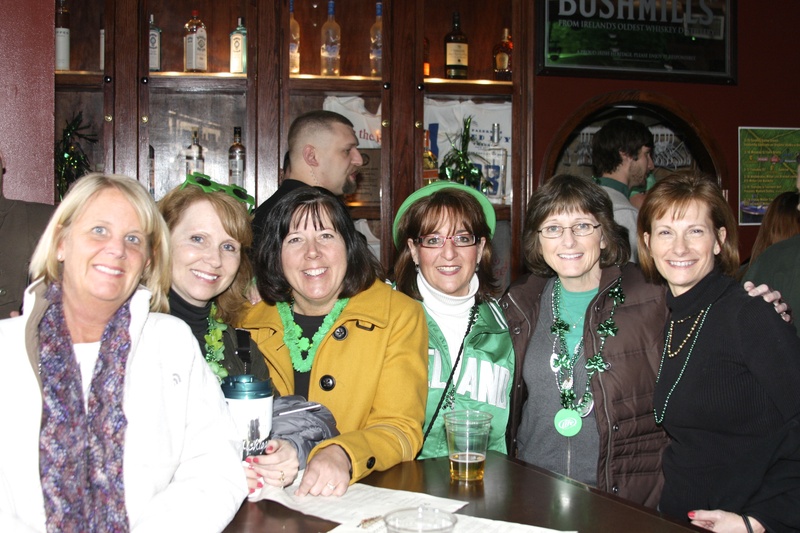 After hanging by the river for a while we would head to McCormick’s, the nearest bar, for some green beer, green jello shots and Irish Whiskey. We always have so much fun when our kids join us. Wow! You guys know how to celebrate! Great pictures! Happy St. Patrick’s Day from a half Irish person! Love you guys! Top o’ the Mornin’ to you, Mark & yours. 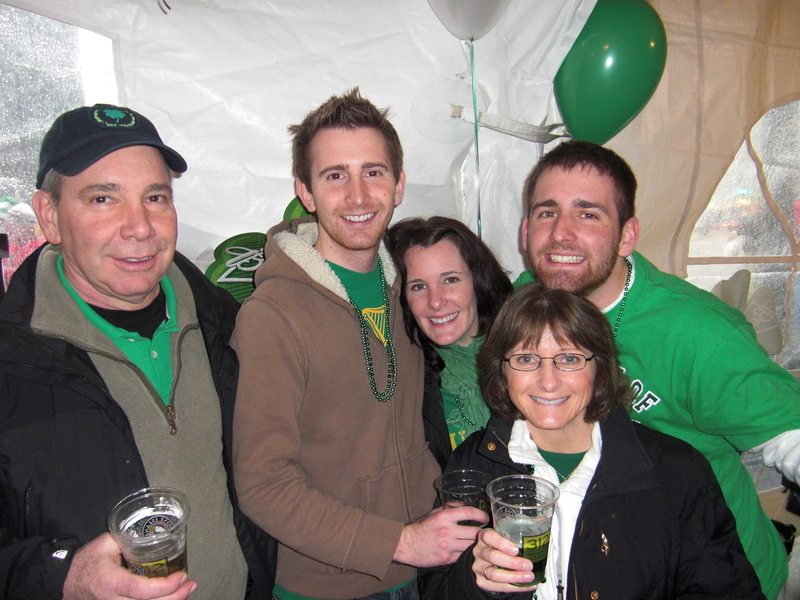 Loved the celebration pictures what a wonderful pot’o gold you have at the end of your rainbow…Family & friend. May All the Irish Eyes from above be shining on you. 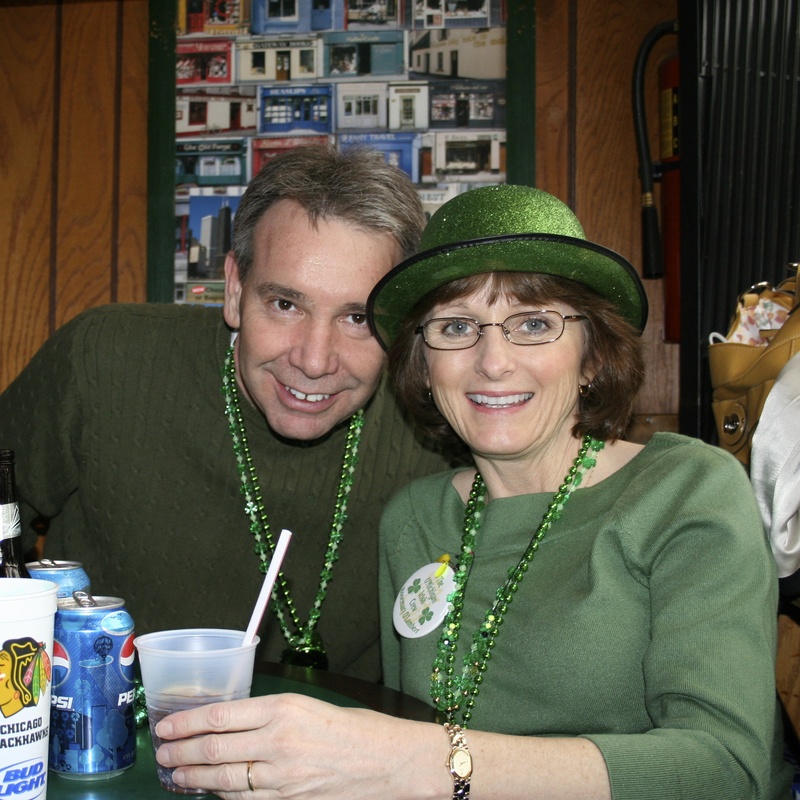 Happy St. Patrick’s Day Rosemary and Mark! What a Happy memory you have. It’s a special day for me as our youngest, Kevin was born on St. Patricks Day, 55 years ago. Top ‘O the Mornin’ to you and I hope you and Mark have a good day.